Rumors on 2K Marin's BioShock 2: Sea of Dreams began swirling about the 2K Games forums today, flooding the board with supposed details on the BioShock sequel. Too bad they were mostly bunk. 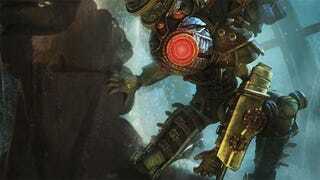 2K and Game Informer both responded, saying the rumors that BioShock 2 would be Big Daddy-free were untrue. The rest of the details? Also lies. Big Daddies will be making another appearance in the sequel. That Little Sister comes in handy. She'll harvest ADAM from corpses strewn about Rapture, acting as a warning sign for when the Big Sister—the lithe, lightning fast enemy who will hunt your character throughout the game—has you in her sights. Based on her description, it sounds like she'll be one hell of a fight.